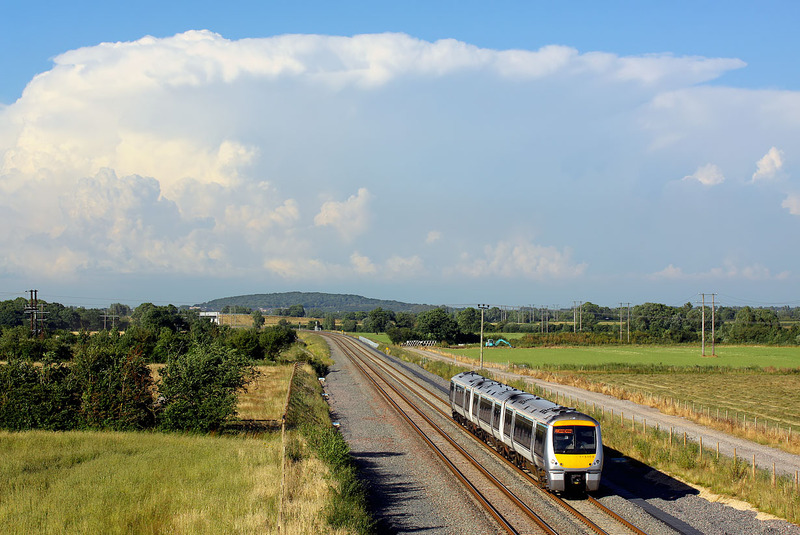 Cloudscape with train. The afternoon of 20 July 2016 was very sunny in the Oxford area, but a little to the north it looked a bit different. I decided on this unusual composition to show the angry looking clouds that were obviously blotting out the sun to the north of Bicester. Here at Oddington, it was a warm summer evening. 168109 heads south with the 1T50 17:18 Marylebone to Oxford Parkway Chiltern Railways service.